THIS IS A FANTASTIC HOME! 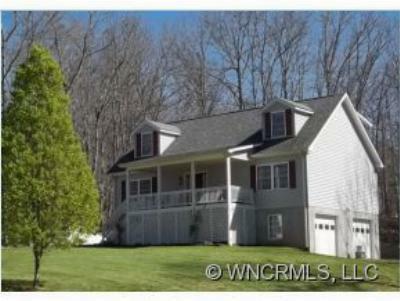 Move-in Ready and priced to sell in Pisgah Forest, North Carolina. Newer 3 Bedroom, 2.5 baths plus a office with a closet. Hardwood floors, super-sized kitchen with granite counters, a island and pantry. Master Suite on Main. Full basement with a double garage, workshop area, and “flex”room easily added to finished square footage; plumbed for third full bath. Desirable level-rolling 1+ acre great for outdoor activities. Deck and a covered front porch. Convenient to town. Pisgah Forest North Carolina is in Transylvania County and is only minutes from Brevard and located at the foothills of the Blue Ridge Mountains at the crossroads between Pisgah National Forest, DuPont State Forest, and The Gorges State Park all offering a smorgasbord of outdoor activities such as world-renowned fly fishing, kayaking, biking, hiking, camping and climbing.